Who is the AEGEE member of the year 2017? Which antenna, which project was the best? What were the highlights of the year? And what will 2018 bring? The Golden Times asked more than 70 locally or Europeanly active members. Over the next two weeks you can see what they answered. In this fourth edition: read what Svenja van der Tol, Fabrizio Bellicano, Joanna Pankowska, Timo Haarman, Laura Garcia Rueda and Ian Clotworthy said. Svenja van der Tol (right) with Antonis and Andrea. Svenja van der Tol: Having the chance to bring back the Agora Mentorship project to Spring Agora Enschede together with my amazing fairies of the Human Resources Committee. The idea behind the project is unbelievably simple, namely to bring experienced members in contact with new members, but it has had a pleasantly positive impact. Rather than throwing our babies into the huge chaos we call the Agora and hoping that they survive and understand what the heck is going on, now they have someone to support them, to answer their questions, and of course to party together too. I truly hope that in the next AEGEE year review, this project will be a regularly established thing within AEGEE, and I am really happy to have contributed to its return in AEGEE. And besides that, I have to mention all the fantastic new people I met, the new places I visited, the long and random talks I had – for some reason those happened especially after European Nights – and the motivation I felt again after feeling completely drained upon returning from Brussels last year. The lack of respect that was shown at Spring Agora Enschede towards some, if not all, of the candidates for the Comité Directeur has been outstanding for sure, although not in a positive way. Even if we might not agree with everyone’s choice to go for the European Board or consider them the best fit, I do think that no matter what we should stay respectful and be aware of the immense courage they show by putting themselves in a vulnerable position like that, which will for sure change their life – and not just in a positive, “look at me being fancy” way. Of course there are a lot of outstanding members inside our organisation, but this year I will not bore you with a cliché “everyone who works for AEGEE” answer again, and rather name three amazing members who truly impressed me: the board of my local AEGEE-Nijmegen, “Trinitas”, which consists of President Jur Remeijn, Secretary Iris Klinkenberg and Treasurer Carlijn Cretier. They have had a rather rough start of their board year with some happenings outside of their influence, but with great impact and with the whole network immediately wanting to know what happened and having their opinion. However, they dealt with the whole matter better than anyone would probably have expected from a completely new board. As their Advisory Board member, I am incredibly proud of how mature and responsible they handled the whole situation, making sure that everyone was consulted and always going for the solution that was the best for everyone, and not just one that would be best for themselves. That alone was not enough, they have also been doing an amazing job as board members so far, and I am even happier to call them my friends too. These three AEGEEans truly are my inspiration in AEGEE, because they are the best example that giving up when things get hard is just not an option, because together you can make it through and you will come out stronger than when it all started. Besides the lovely hosts of the statutory events, AEGEE-Catania, AEGEE-Zagreb and AEGEE-Enschede, who should be mentioned even if just for the troubles they have to go through to host our biggest events, I would also like to mention AEGEE-Passau for having organised a – rather fantastic, I have to say, especially the food and the trainers – Human Resources Training School, for which I was a trainer together with Andrea Schmelz. I would say that all four new working groups have done a great job, first of all by managing to actually have a coordinator for each of them, but also with the big amount of applications we received and the tons of initiatives launched by all of the working groups. Of course, I will have to give my very own Youth Development Working Group a special mention. Although my team members are still rather new to working in a European body, I am happy they have joined and look forward to achieving even more in 2018 together! I do not know if it will actually be a big topic, but I would hope it to be – the future of our organisation, and how to tackle it rather than talk about it or not paying attention to anything related to it at all. It really saddened me to see how little attention was paid to important matters in Agora Catania, and I truly hope that people will realise their duties beyond having great parties at our upcoming events, and start to be aware of the impact their choices have, starting with the election of the new Comité Directeur. Besides that, I hope that in 2018 we can move on from different people who all believe they hold “the one and only truth” for the real solution to the problems we face and demand that their ideas are followed or try to lobby for them rather than convince with strong arguments, and that instead we can join forces representing as many different AEGEEans as possible and working together to start making a change and stop shitting on everything. Depending on how some plans develop, I will either be spending more time working for this crazy organisation than I have ever done before, or slowly make my departure and join Les Anciens. The decisions to be made for that are not in my hands though, so we will see what the future brings! With some of my dearest friends in my beloved Nijmegen. Fabrizio Bellicano: I guess realising how much I could contribute to this CD and future CDs by giving some project management skills and structured work. I very much liked the EPM in Zagreb where I was helping the amazing Marina. Seeing her working was a nice moment for me, and the EPM in general was a nice moment for meeting and especially talking again with friends I had not seen in a while. Derk Snijders from AEGEE-Enschede for his very structured work on even the most boring part of an IT project, the documentation for MyAEGEE; and the members of the unhealthy antennae of AEGEE-Paris, AEGEE-Riga and AEGEE-Helsinki to try to bring them back to the original splendour. No clue, my mind only focuses on people I meet and that important project I must do. I like the Youth Development Working Group for their structure, thanks to the pro Svenja van der Tol from AEGEE-Nijmegen. Even though it is not a project or working group, I must say I am also very grateful to Andrea Schmelz from AEGEE-Passau for her dedication towards the Human Resources Committee, it is a pleasure working with both of them. Giving some structure to the network through education, not through bureaucracy. I am already working on the knowledge transfer that we are going to leave to the future CD, such that the direction and the reasons are preserved. I will focus on the IT system which is still light-years behind. I will give it more structure starting from the knowledge transfer system. Chilling in Genova, I need to do nothing. Joanna Pankowska (front) with the Civic Education Working Group. Joanna Pankowska: My personal highlight was the fact that the working groups have received in total 62 applications for 28 spots. I think it was quite outstanding that two AEGEE projects won the national rounds for the Charlemagne Youth Prize: Summer University and Faces of Europe. Loes Rutten for taking up the challenge of leading the organisation, Alexia Thomas for dedicating her time and soul to AEGEE and Patrycja Figarska for balancing the local and the European level in the best possible way. 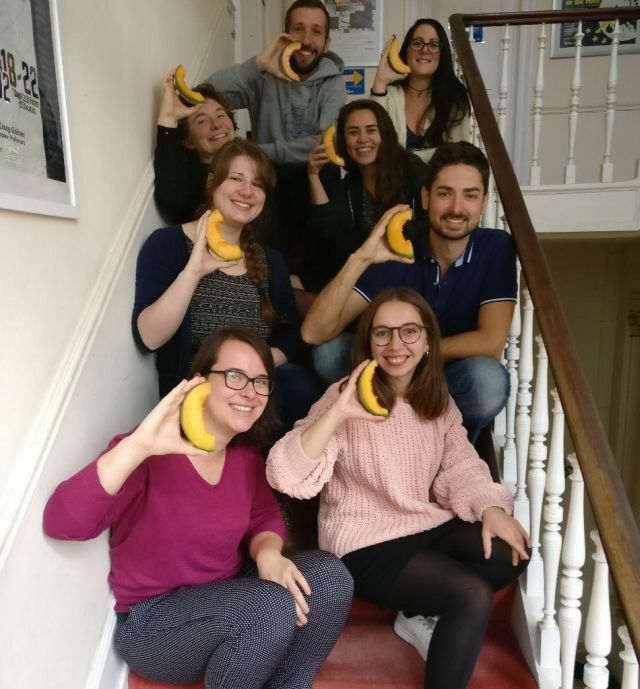 AEGEE-Budapest – so many great projects this year! One and only: Civic Education Working Group – the second-year team did an amazing work! All activities of all four working groups, which are doing an amazing job so far. I hope the Action Months would be a big thing. I want to fulfil my role as Civic Education Working Group coordinator as good as possible. I am also supporting AEGEE-Warszawa as much as I can and hope to still do some last local project before I move on. I will be cross-country skiing in Czechia with some friends. Timo Haarman has plans for the European level. Timo Haarman: Of course there were multiple highlights this year, but I’m going to state two for this time. Firstly, the moment where I officially became board member of AEGEE-Enschede after around 6.5 hours of GMM, which is of course a very special moment. Secondly, the moment when I heard my plans for European School 1 Enschede 2018 were accepted, so we could organize a European School again after four years. One of the things was the presidential debate taking place on Agora Enschede, which was of course very charged with emotions. I also think the thematic part about populism of EPM Zagreb was very outstanding, it really made me thinking about this topic. Of course all members are outstanding in their own way, but for me there are some people that really did a great job this year! I will definitely forget a lot of them, but one of the people that immediately comes to my mind is Derk Snijders. He did a great job as a CD assistant for the MyAEGEE project, in which he really gave more structure to the developing process of the new Intranet. And while he is officially done as CD assistant, he is still putting a lot of effort in the project. I also want to name Svenja van der Tol, who, as an old CD member, still is very active in the Youth Development Working Group, and also gave a lot of great training sessions to me this year! For me the most outstanding antenna was definitely AEGEE-Zagreb, I loved everything about the organization of the EPM, the food was good, the rooms were of a decent quality and the helpers and organizers were always doing everything with a big smile on their faces. If I have the chance to visit another event in Zagreb I won’t hesitate about coming there again. 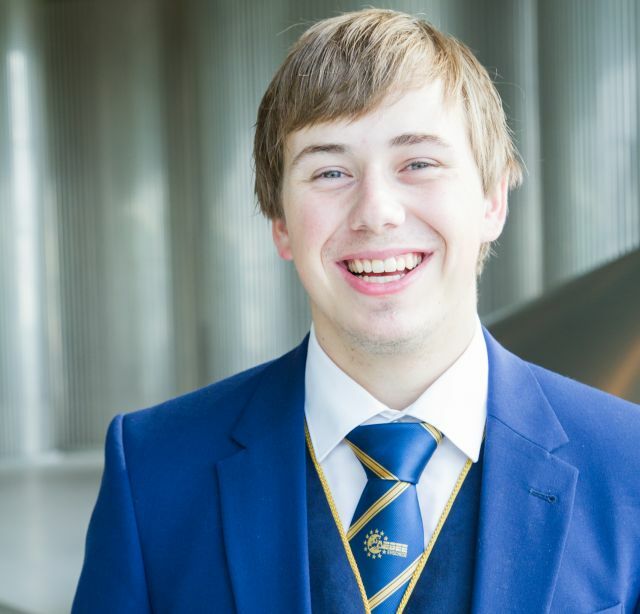 Firstly I want to nominate Europe on Track, I really think it is a project which does a great job in bringing AEGEE and thematics closer to the people. Secondly, I also want to say something about the Civic Education Working Group, which did a great job in putting the topic of civic education on the agenda of AEGEE-Europe with good objectives. Of course, I have to mention European School 1 Enschede in this! Currently we are preparing a lot for this, so there will finally be an ES1 again after four years – the last edition was also in Enschede in 2014! I also think EPM Yerevan will be one of the highlights as the first statutory event in the south Caucasus. For the first half of next year I will stay a board member for AEGEE-Enschede, after this I am planning on doing more on the European level. I am thinking about maybe applying as job shadower for the Chair team at Agora Kraków. I will spend the New Year’s eve in Asterion, our own pub, to celebrate the new year with all my friends from AEGEE-Enschede and watch some fireworks from the rooftop of the building. Laura Garcia Rueda is focused on the Summer university project this year. 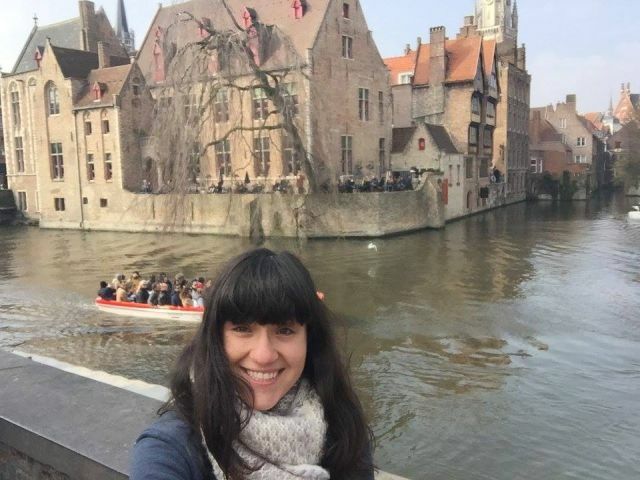 Laura García: One of my personal highlights was organising my first Summer University and being main coordinator. It was one of my favourite experiences in AEGEE until now. During the organising period and during the SU itself, it was simply amazing. Of course, this highlight is not only mine. This success wouldn’t have been possible without my team of AEGEE-A Coruña and AEGEE-León. So, my personal highlight is actually our personal highlight. I am going to use the chance to say thank you to the person whom I admire, whom I feel proud of and who inspired me the most in AEGEE. She is also one of the most active members in 2017. During this year she was Netcom, our Netcom, a very good one, part of the project of the Key to Europe. And also, during a lot of years, but especially during 2017, she was the best support I’ve ever had. Hr name is Alejandra Piot. My AEGEE inspiration, my mentor, my best friend. PS: But of course, every member is outstanding! A lot of locals made a very good job and amazing things, but if I have to talk about one, I would talk about AEGEE-Budapest. 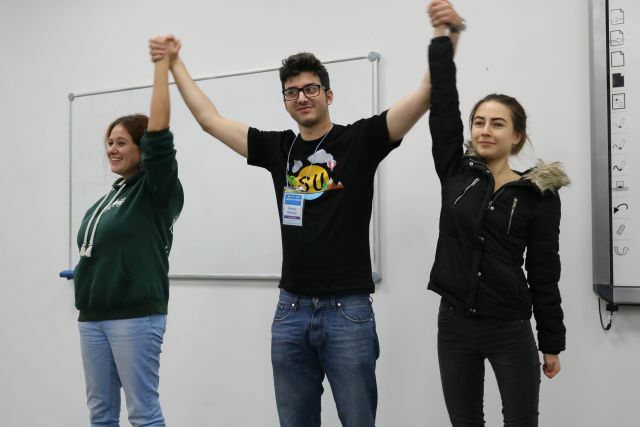 They hosted the conference “More than education”, they also organised a Summer University and, even if it will take place in 2018, they applied this year to host one of the Summer University Project Schools and they were chosen! In addition, they are having a New Year’s event! I think they are a really cool antenna and I admire them a lot! PS: As with the question about members, every antenna that was quite active, is outstanding! I am very proud that the Summer University project has been selected as the national winner of the Charlemagne Youth Prize competition in Slovakia this year. Just a short reminder for those who maybe don’t know about it: the Charlemagne Youth Prize is organised by the European Parliament and the International Charlemagne Prize Foundation in Aachen and is awarded each year to projects run by young people aged between 16 and 30. The winning projects should provide models for young people living in Europe and offer practical examples of Europeans living together as one community. And I have to say that I also liked the work of the Civic Education Working Group. 2018 will be very special in AEGEE, there will be a lot of good topics, but, as project manager of the Summer University Coordination Team and a big lover of the Summer University project, the big topic in AEGEE for me in 2018 will be the 30th anniversary of the Summer University. It will be a celebration of this awesome and unique project, where will be present again the original SU identity. As part of SUCT, I will be working on it until Agora Istanbul. I am really into the 30th anniversary of the Summer University project, therefore I would like to work as much I can on the identity of the Summer University. Also, I will keep working for my local, we are having frequent local activities and we are growing a little bit, so I would like to keep it like this and improve it even more. I will spend it in A Coruña, having dinner with my family and then, party with some friends. I really would have liked to go to some New Year’s event of an AEGEE local, by my mum already accepted that I went 67352652 times to events this year, so: Christmas and New Year’s eve is for family. Ian Clotworthy is not a leprechaun. Ian Clotworthy: There were really a lot of these for me, since I attended quite a few events. But I would say one of them was the speech by Professor Heller at the Conference “Education for the Present, Democracy for the Future” in Budapest in April 2017. Another occurred in December 2016, which is basically 2017. I took part in AEGEE-Dresden’s annual Develop Yourself weekend. I made new friends, got to know myself better and learned to speak nervously on stage, rather than not speaking at all! I really enjoyed the closing ceremony of Agora Catania because the aftermovie was already prepared! There was so much passion on display! The trip the next day to the volcano Mount Etna was an unforgettable ending to that week in Sicily. I think it’s really not enough to name three people. I will say there is a cohort of active members who are doing great work and giving so much of their energy to make a better Europe. I admire them. You know who you are. I would like to praise all the efforts of my fellow members in AEGEE-Berlin for the events they organised despite very challenging circumstances. We hosted a number of European and local events this year. 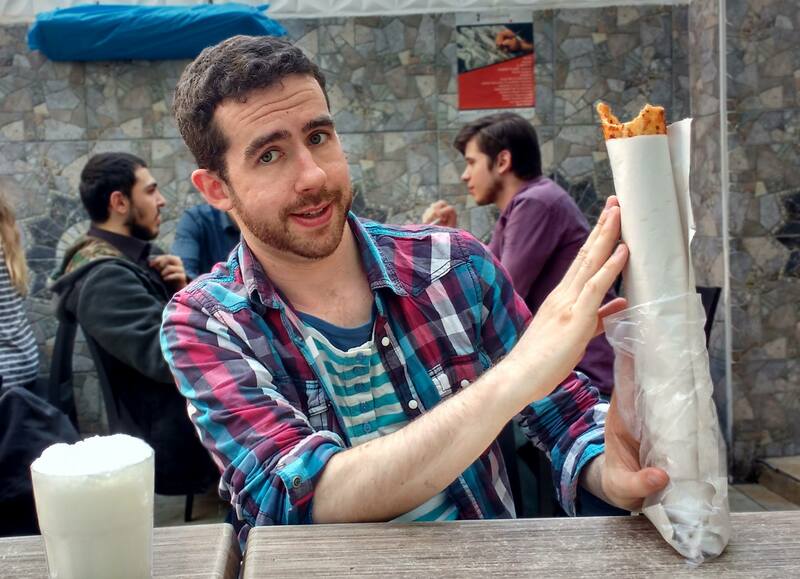 I would like to honour AEGEE-Berlin’s twin antenna, AEGEE-Istanbul, for their enthusiasm, care of their members and variety of ideas for both European and local activities. I think that given the changes we have seen in Turkey and Europe in general in 2017, that an Agora there is just the right thing to do. Also, fair play to AEGEE-Heidelberg for the lovely Network Meeting in April. I learned a lot about AEGEE there and met some of the outstanding members who I am thinking of. I think Faces of Europe is a great project that effectively uses the power of social media to open the eyes of people to how people in other countries are living. I stand in amazement at Europe on Track, for the effectiveness of its fundraising, its continental scope, and the great photos and videos that are produced. It is an example to us all. I think that the founding of the Politics Interest Group is an important step towards fulfilling the widely desired goal of moving pressing political topics to a central position in AEGEE life. I am reluctant to predict the future but I think that there will be increasing interest in thematic events, and demand for more focus for the organisation. I would like to see more focus on recruitment techniques, and on preventing locals from being downgraded and closing. After a year as PR responsible of my local, AEGEE-Berlin, I will concentrate on the AEGEE Analytics project. 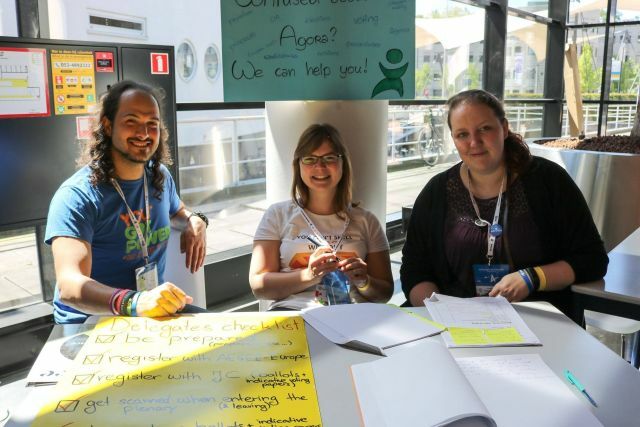 In this work, some of us are analysing the highlights of AEGEE history in order to fill the AEGEE Wiki, thereby creating a useful information resource to inspire members in their conception of future events. Some of the events of the past deserve more recognition than they have, and show us that Yes, We Can Dream That Big! I am also part of the Social Media Task Force of the European Citizenship Working Group. We will use social media techniques to help steer our online culture in more international direction that crosses borders and language barriers. In Ireland with friends and family. Because I live in a different part of Europe from my home, I use the Christmas and New Year period to spend time with my people in Ireland. Cards Against Humanity might be involved. Yes, members of my family have red hair. No, we are not leprechauns.